New Collection. Only one of this kind.This is called Green Earth Stone, like soap like yet finer and harder. 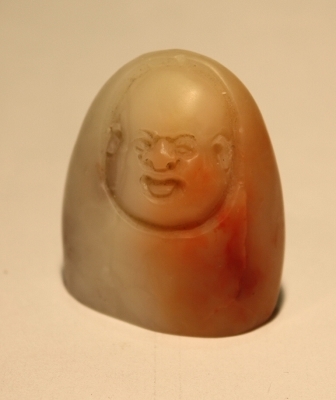 The stone has been carved with happy Buddha face on. It is ideal for making for mood stamp or name stamp for your Sumi art. Stone Size about: 1-1/4" x 5/8" x 1-1/4" irregular shape stone.